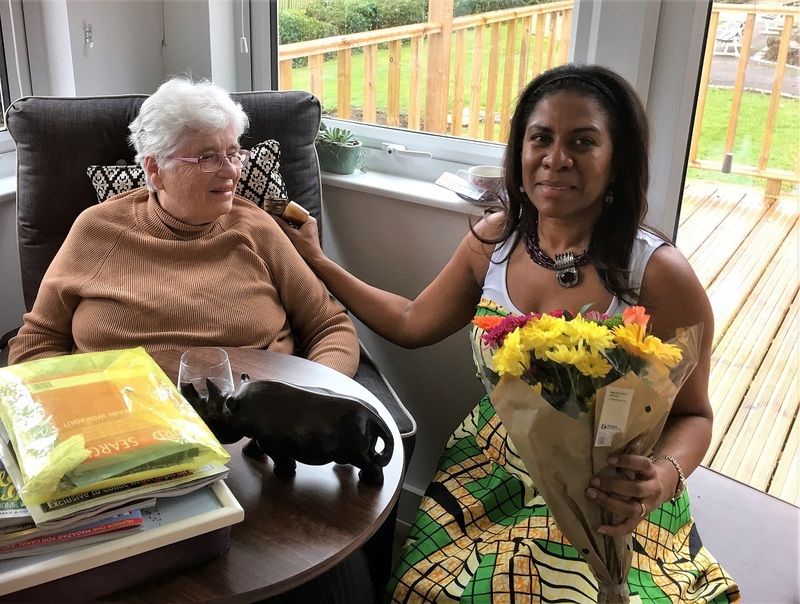 This March at brighterkind’s Houndswood House Care Home in Radlett, we were delighted to welcome a special guest, Dee, to share her stories and memories of her native country, Uganda. 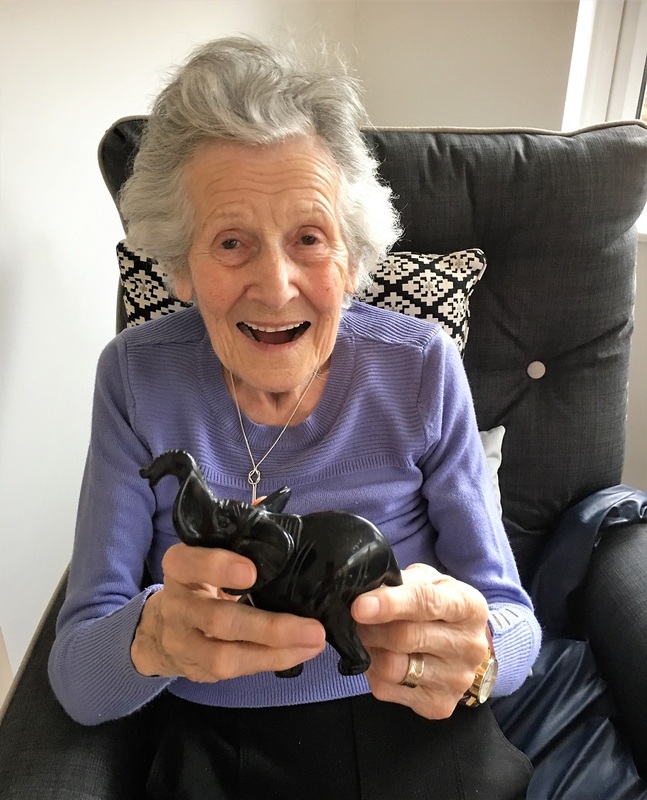 Dee wore her national folk dress and brought in handmade craft dolls and animal figurines which our residents could hold as they listened to Dee bring the country to life with vivid descriptions of the local culture, history, wildlife and music. 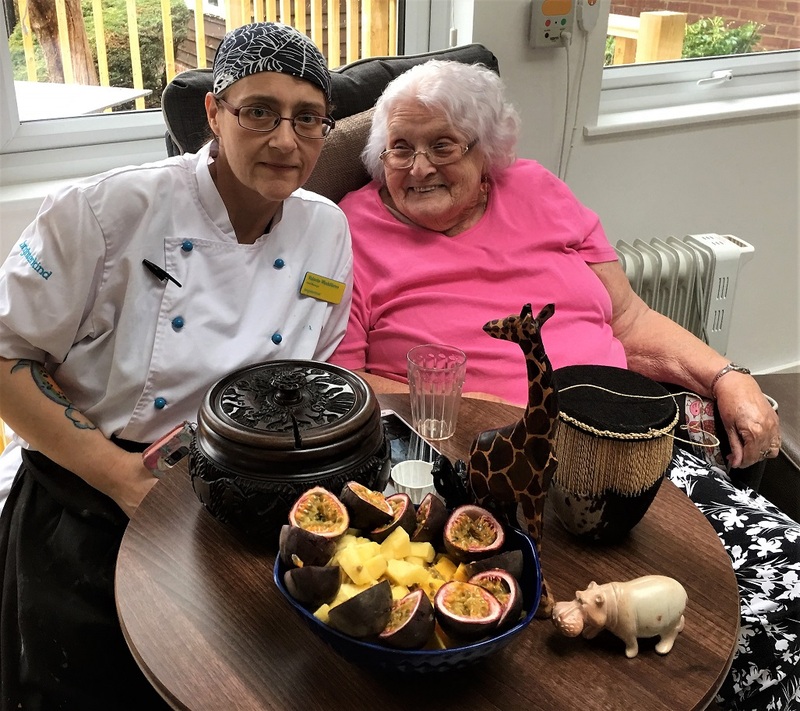 Our Chef Valerie prepared a special afternoon tea with tropical fruit bowls for everyone so we could enjoy a taste of East Africa. At Houndswood House Care Home we believe in living life to the full. That’s why we’re passionate about creating vibrant, stimulating activities that will help our residents to love every day. We call them ‘Magic Moments’. 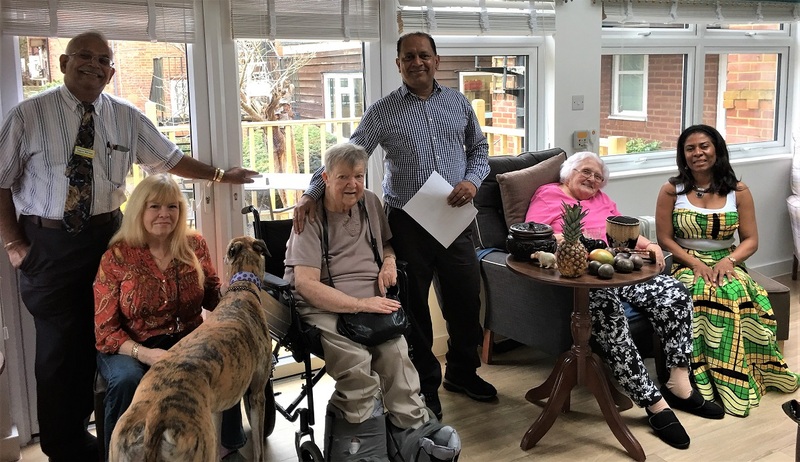 Houndswood House Care Home is located in Radlett, Hertfordshire, and provides nursing care, palliative care and respite care.